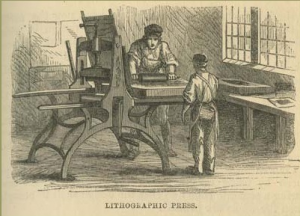 Although lithography was invented in 1796, it was at first too slow and expensive for poster production. Most posters were wood or metal engravings with little colour or design. This all changed with a “3 stone lithographic process” in the 1880s, a breakthrough which allowed artists to achieve every colour in the rainbow with as little as three stones – usually red, yellow and blue – printed in careful registration. Although the process was difficult, the result was a remarkable intensity of color and texture,. The ability to combine word and image in such an attractive and economical format finally allowed the lithographic poster to usher in the modern age of advertising. 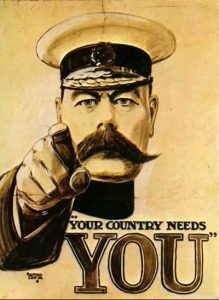 World War I meant a new role for the poster: propaganda. Indeed, the war ushered in the biggest advertising campaign to date, critical to the wartime communication needs of every combatant: from raising money, recruiting soldiers and boosting volunteer efforts, to spurring production and provoking outrage at enemy atrocities. Utilizing modern techniques, America alone produced about 2,500 striking poster designs and approximately 20 million posters – nearly 1 for every 4 citizens – in little more than 2 years. After WW1, the first graphic design courses were launched in France, Germany and Switzerland, a key moment in the transition from illustration to graphic design in advertising. The poster again played a large communication role in World War II, but this time it shared the spotlight with other media, mainly radio and print. By this time, most posters were printed using the mass production technique of photo offset, which resulted in the familiar dot pattern seen in newspapers and magazines. The use of photography in posters, begun in the Soviet Union in the Twenties, now became as common as illustration. After the war, the poster declined further in most countries as television became an additional competitor. The role and appearance of the poster has changed continuously over the past century to meet the changing needs of society. Although its role is less central than it was 100 years ago, the poster will evolve further as the computer and the worldwide web revolutionize the way we communicate in the 21st century. Through evolution a one sheet is generally a 30 inch x 20 inch poster and pretty much all large format posters in the advertising industry today are a variation of the one sheet. 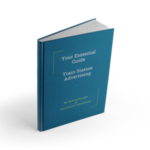 The smallest poster in the industry was a 4 sheet (60 inch x 40 inch) and in the main the only place you will still see these today are on the train stations, although there are a few independent contractors who will still own a few 4 sheet sites. 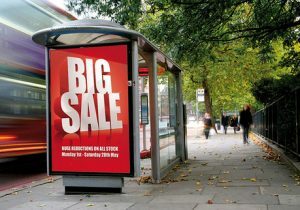 Most of the large billboards are 48 sheet and these are made up of 12 x 4 sheet posters – 6 wide and 2 high. This will make up a total size of 20 foot x 10 foot (240 inches x 120 inches). The only anomaly to this in the paper poster industry is the 6 sheet – which is effectively a European version of a 4 sheet – slightly bigger all round than a 4 sheet. Pretty much all the posters on bus shelters are now 6 sheet. The industry is always evolving with the introduction of digital advertising, but as far as the old traditional paper posters, the above sizes will apply pretty much all over the UK. 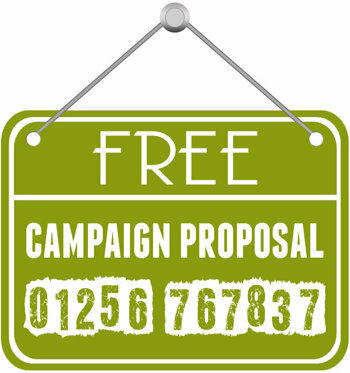 We will shortly be producing a handy downloadable PDF which details some of the standard advertising sizes and associated jargon so why not connect with us on Social Media and stay in touch (links in the header at the top of the page). Alternatively if you need any further advice or guidance why not give us a call on 01256 767837 or fill in the form on our ‘Contact Us‘ page.